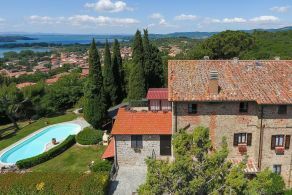 Villa Green Holiday is situated in a hilly location just 1 km from Passignano sul Trasimeno and the lake. 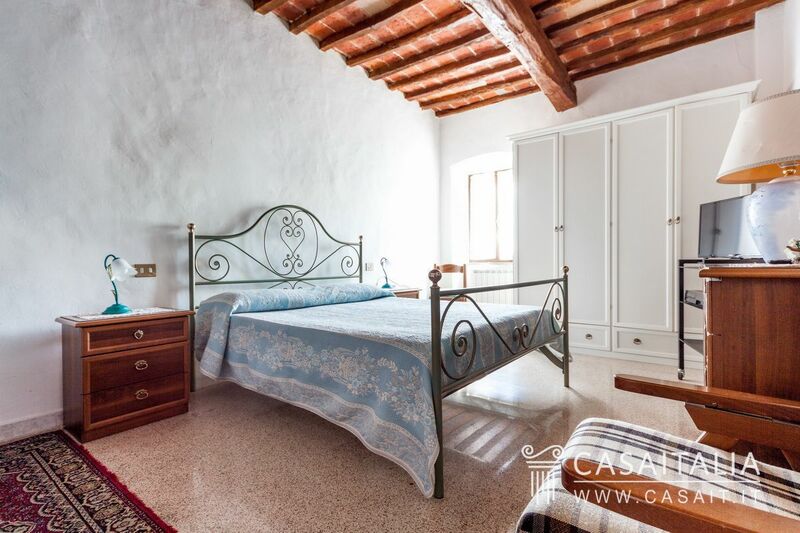 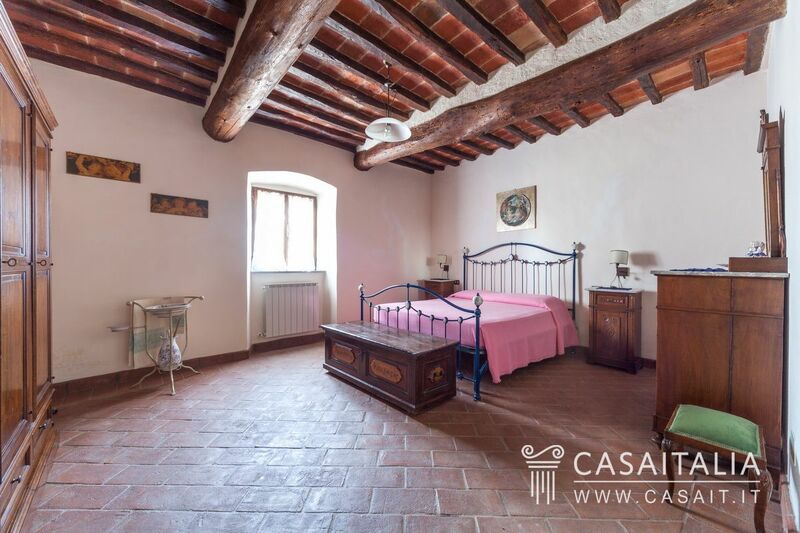 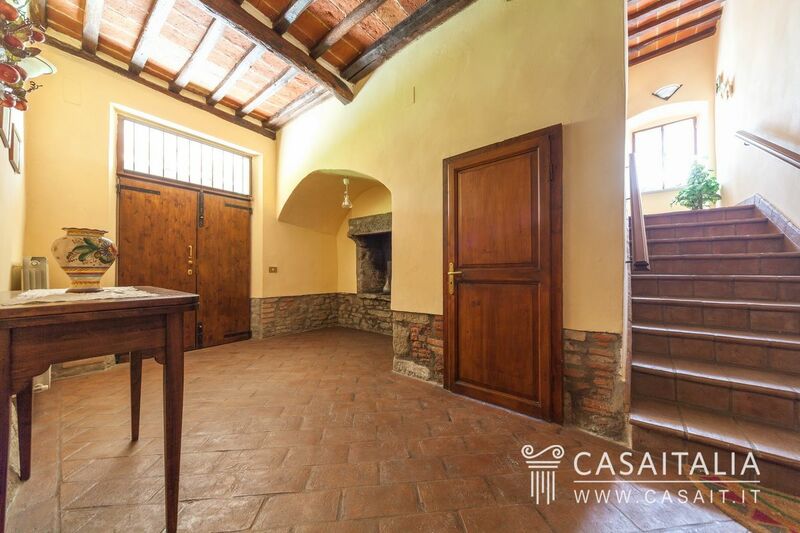 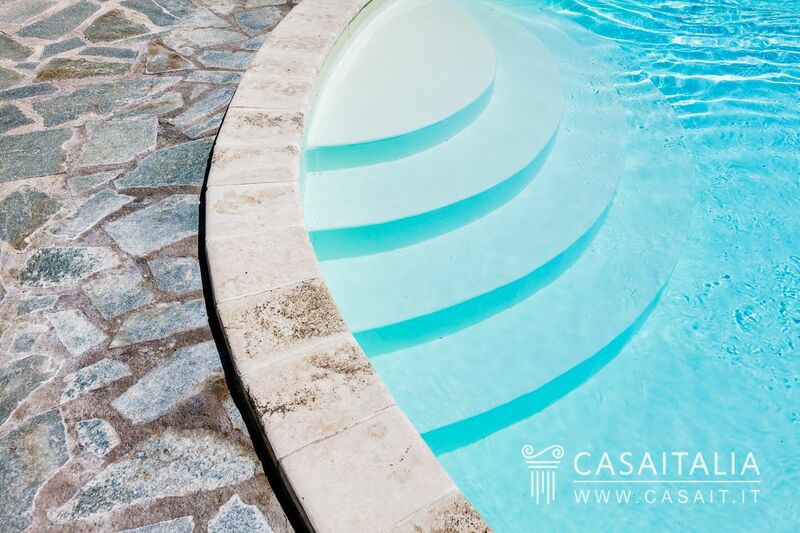 The property measures around 675 sq.m in total, and is split into 6 apartments, with around 1.4 hectares of land with garden, pool and a little olive grove. 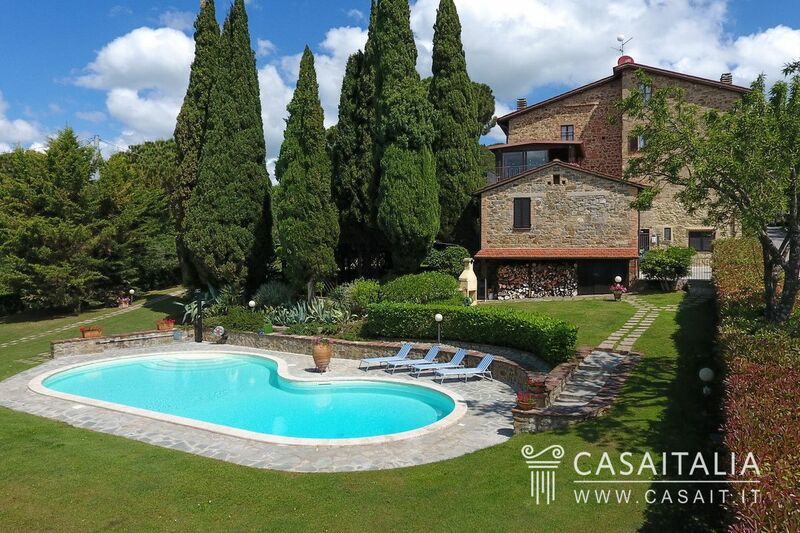 The location is convenient and well-situated: a stone’s throw from the populated area around the lake, in one of Umbria’s most popular areas for international tourists, due to the beauty of the landscape and the central location in relation to many of Umbria and Tuscany’s most important historic cities. 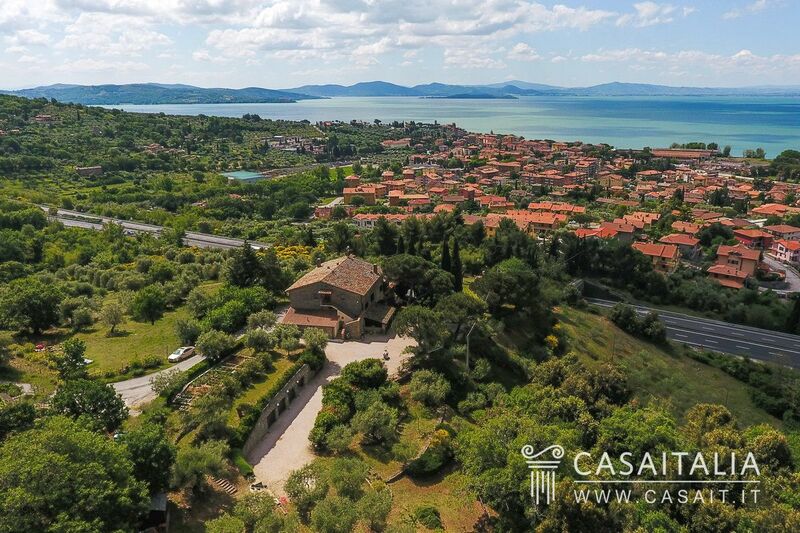 Castiglione del Lago (18 km), Cortona (22 km) and Perugia (25 km) are 20 minutes’ drive away, while Assisi (50 km), Arezzo (67 km) or Siena (82 km) can be reached in an hour. 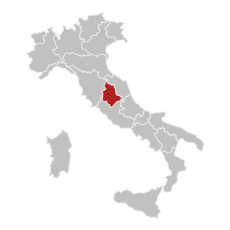 The nearest airport is Perugia, 36 km away, and Florence (135 km) and Ancona (142 km) are about an hour and a half away. 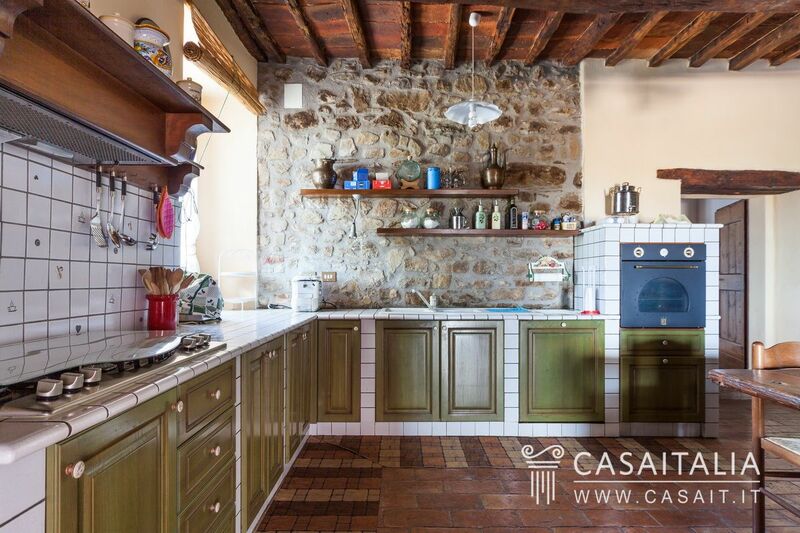 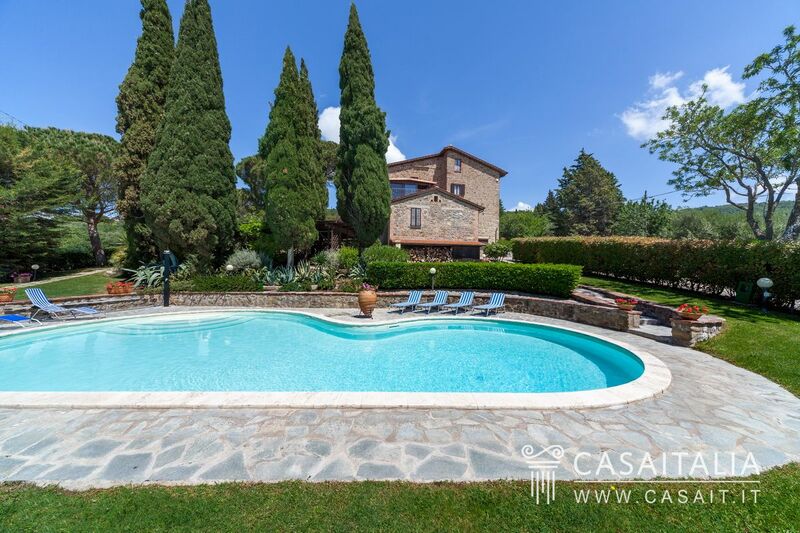 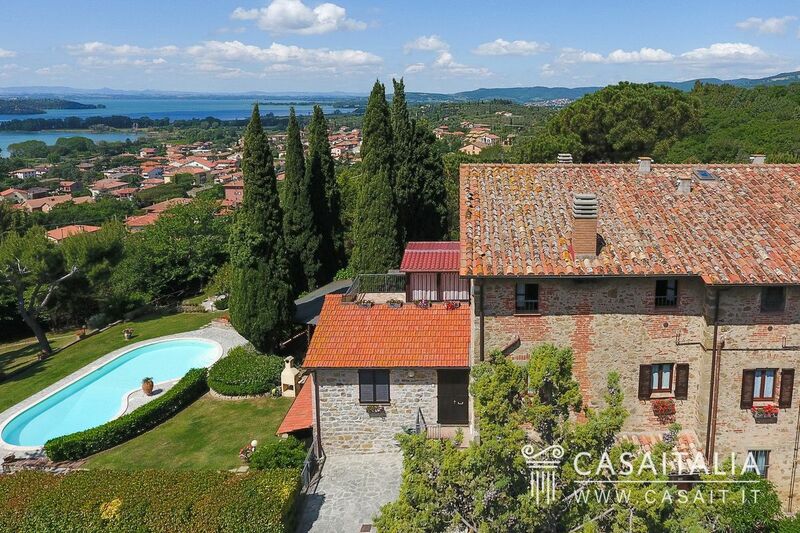 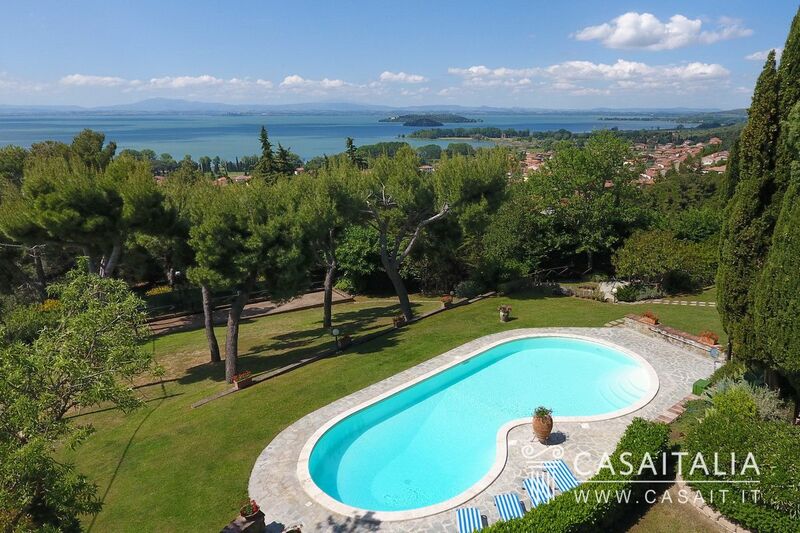 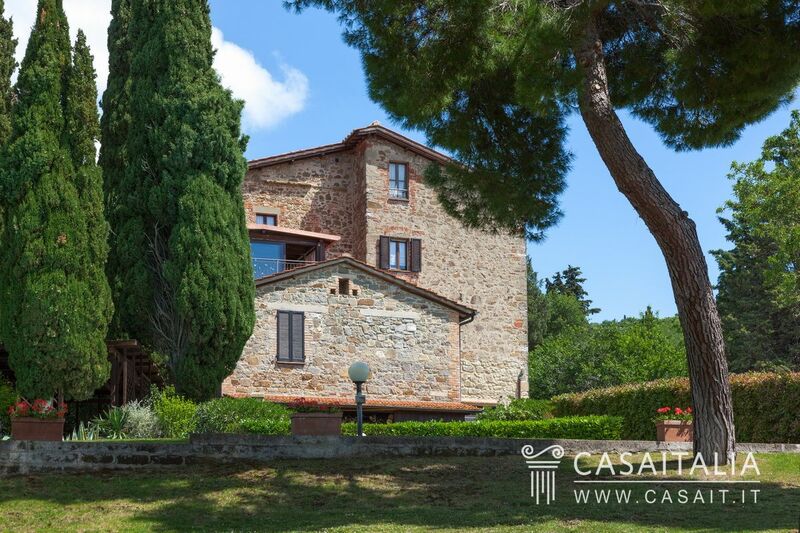 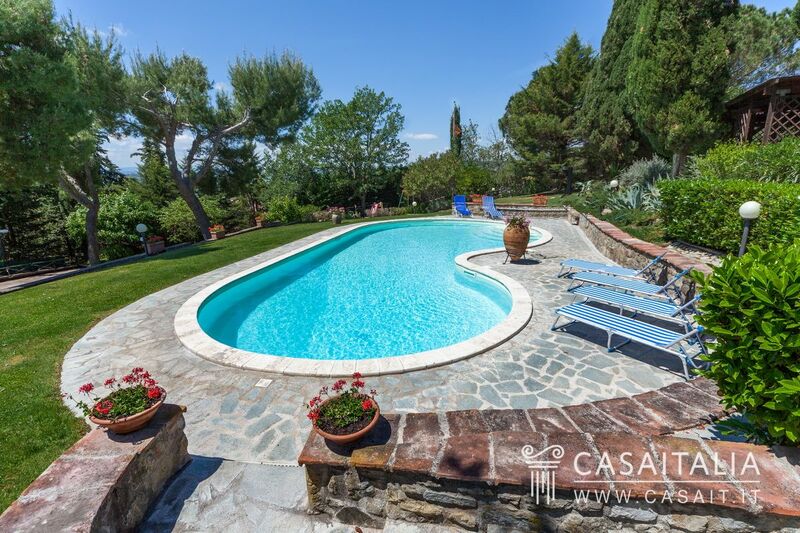 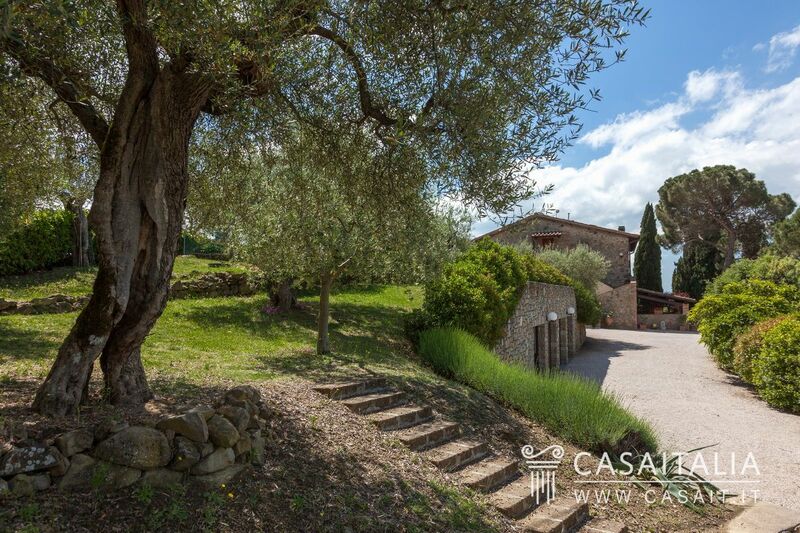 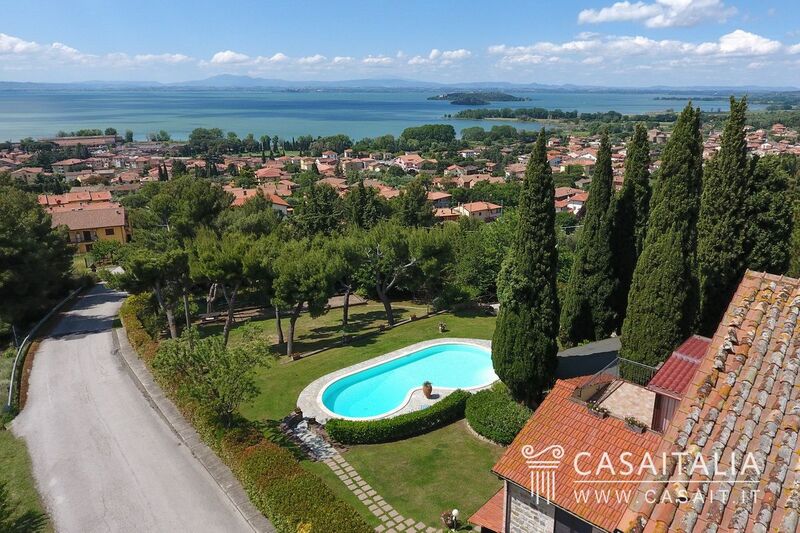 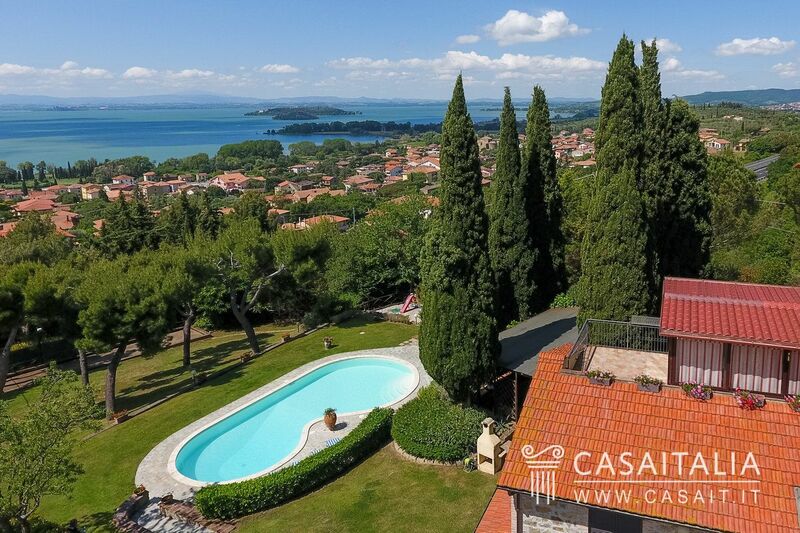 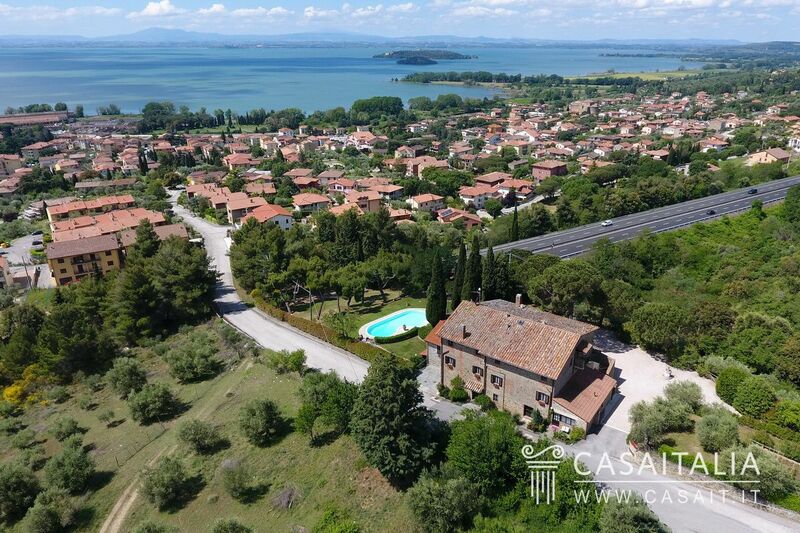 Villa Green Holiday is situated just outside the populated area of Passignano sul Trasimeno, in a hilly location which is also convenient and unisolated. 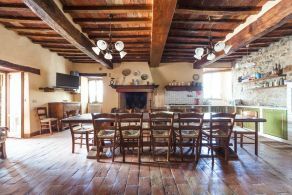 The house is split into 6 apartments, one of which is larger and currently used by the owners, while the others are perfect for renting out as holiday apartments. 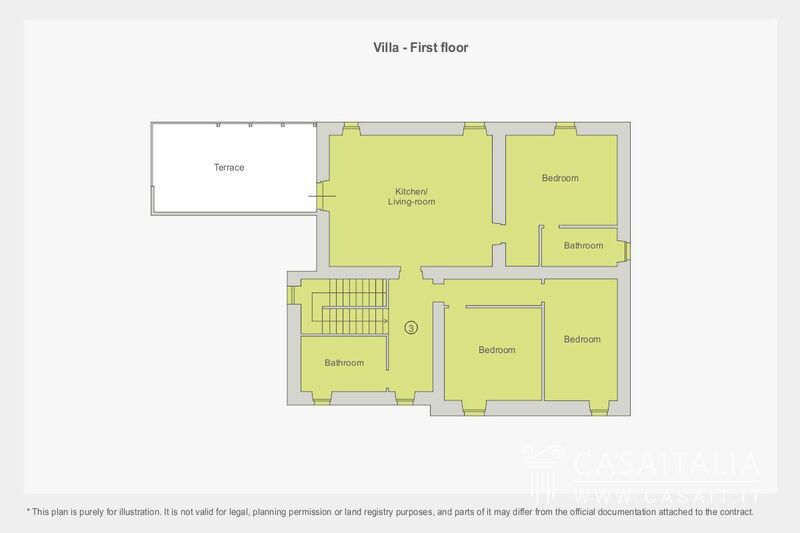 Apartment 1, in a slightly raised location above the garden, comprises the kitchen/living room, one bedroom, one bathroom and a storeroom. 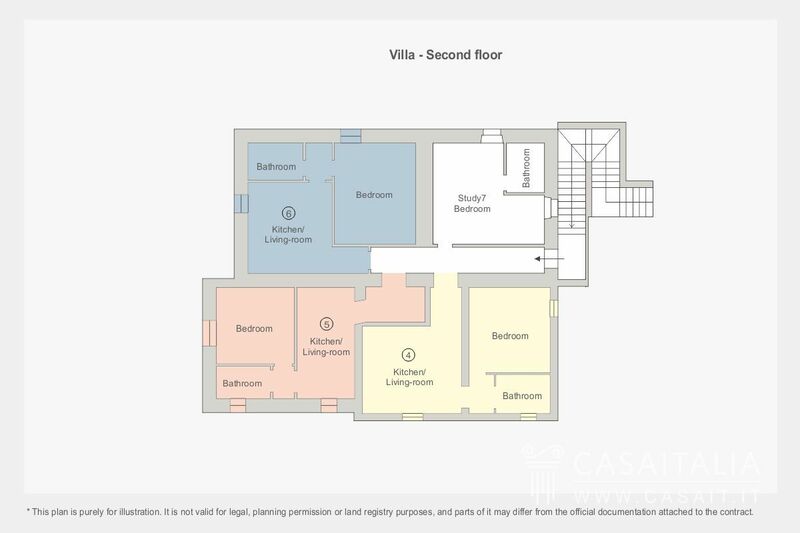 Apartment 2 is the largest and occupies part of the ground floor and all of the first floor of the villa: on the ground floor there is the entrance, a bathroom and three large storage areas, currently used as a cellar and storerooms; from the entrance a staircase leads to the first floor, split into a large kitchen/living room, with access to a panoramic terrace with view of Lake Trasimeno and the pool, the master bedroom with en-suite bathroom, two further double bedrooms and a bathroom. 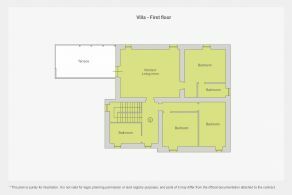 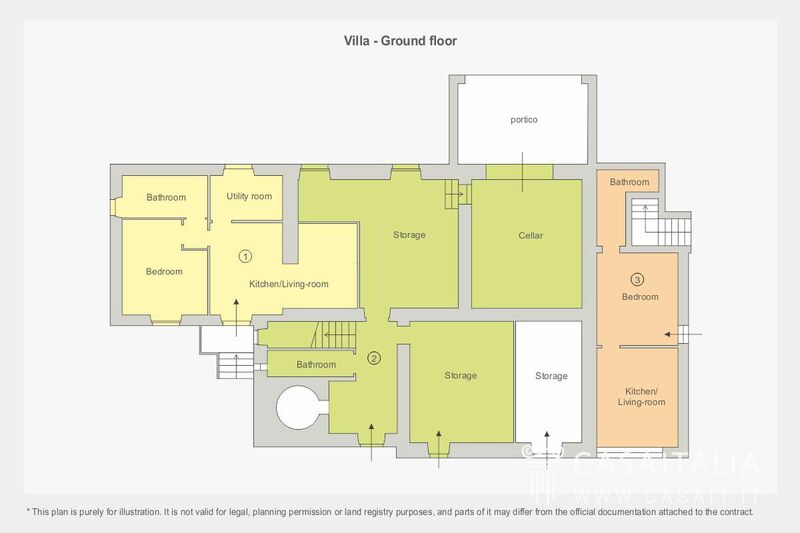 Apartment 3 comprises kitchen/living room, bedroom and bathroom. 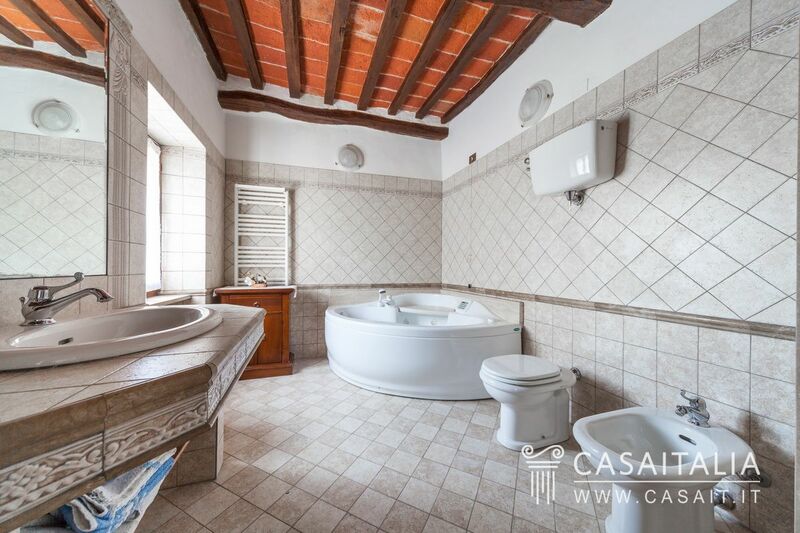 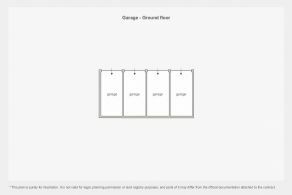 An external staircase provides access to the second floor where apartments 4, 5, and 6 are situated, each with kitchen/living room, bedroom and bathroom and a studio with bathroom, which could be used as an additional bedroom. 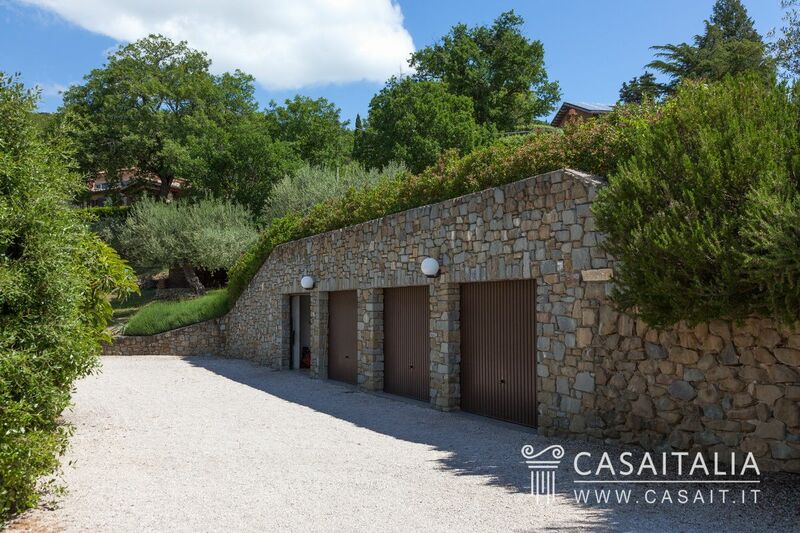 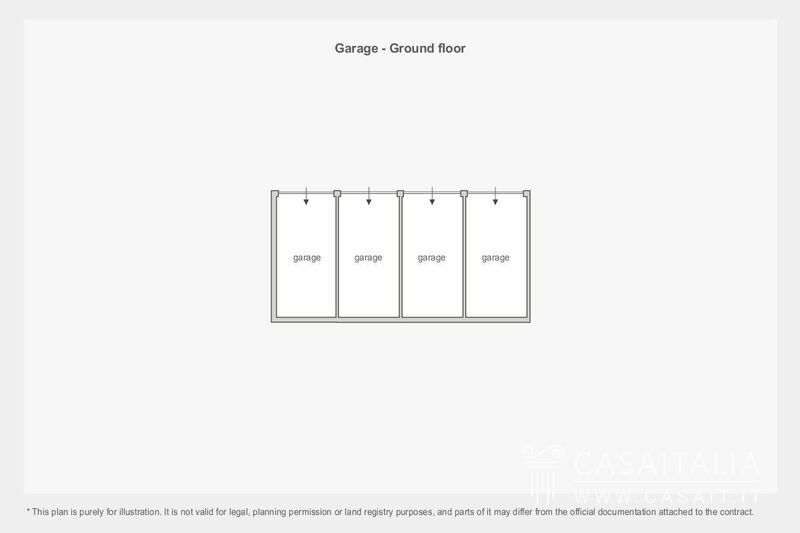 Outside there is a partially underground garage of around 70 sq.m, split into 4 single garages. Villa Green Holiday has been restored and is in good condition. 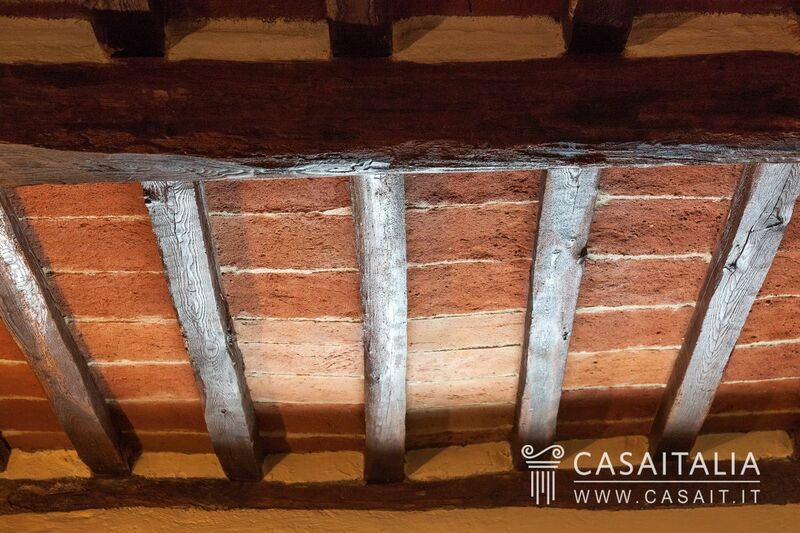 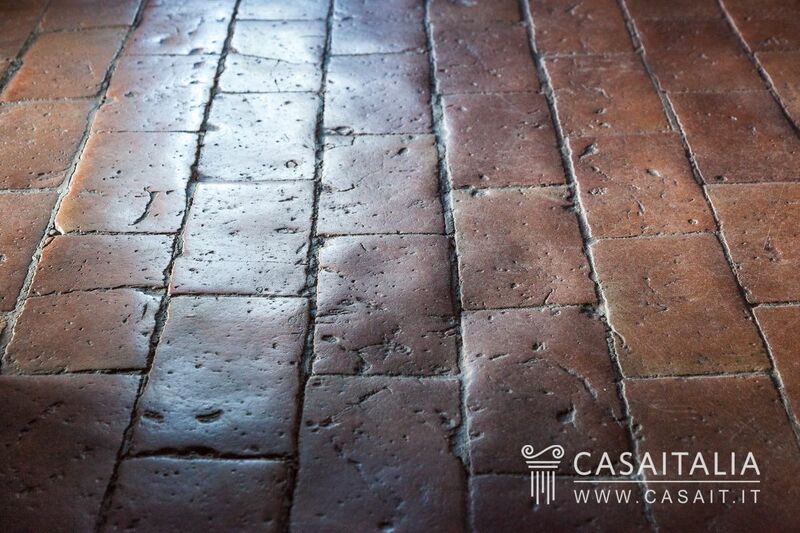 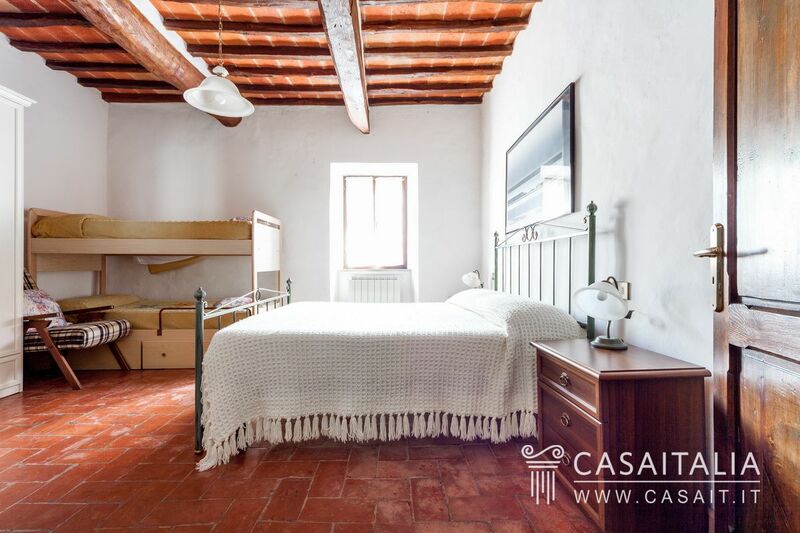 Outside, the exposed stonework facades have been preserved and inside there are large areas of the floors that feature handmade antique tiles and ceilings with tiles and wood beams. 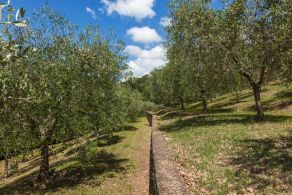 Finally, the property includes 1.4 hectares of land, with a pretty landscaped garden, kidney-shaped swimming pool, parking area for cars and around 3,000 sq.m of olive grove. 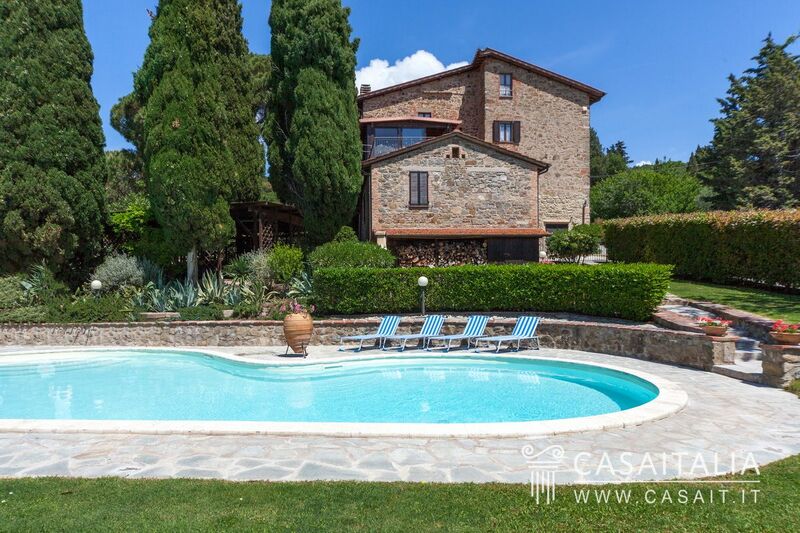 Villa Green Holiday is absolutely perfect for those looking for a property in Umbria, to use as holiday accommodation while generating revenue, thanks to the 6 separate apartments. 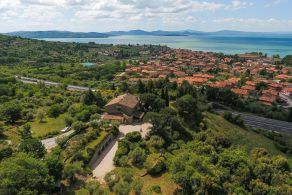 Lake Trasimeno is one of the most popular and desirable areas for both national and international tourists, and is also an ideal starting point for visiting many of Umbria and Tuscany’s main cities.